wow, that sounds very good. Dare we hope... an award-winning role for Heath's last film? Does anyone know when it is going to come out and where? That review is a pleasure to read and my curiousity is piqued. I am not keen on the image of Heath hanging over a bridge. It does however appear that at least one reviewer feels that Gilliam is back on form and has done what he always does best, let his imagination run riot, free from all constraints of the norm as we perceive it. I loved reading that Heath's role seems to be a complete cameo and not some ludicrous squeezed in portion. 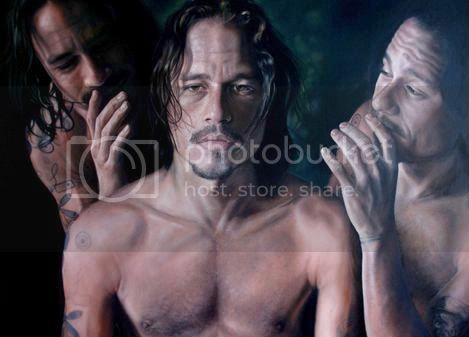 It also helps that after Heath, the actor I admire most is Depp. He has the same ability as Heath to completely immerse himself in a character. Ahh, some new pictures. However, once again, bittersweet feelings arose. Also, according to IMDb, it's been given a PG-13 rating. It's making progress!!!! I need my Heathy. The film Heath Ledger was making when he died last year is set to premiere at the upcoming Cannes Film Festival in France after becoming a last-minute screening. Film fans and the media are expected to flock to Terry Gilliam’s The Imaginarium of Doctor Parnassus when it opens on the eve of a day of publicity on 22 May. The film will not be among those competing for film festival prizes. As well as Ledger, the film features Christopher Plummer, Verne Troyer, Lily Cole and Tom Waits and Johnny Depp, Colin Farrell and Jude Law, who stepped in to complete the tragic actor's scenes. 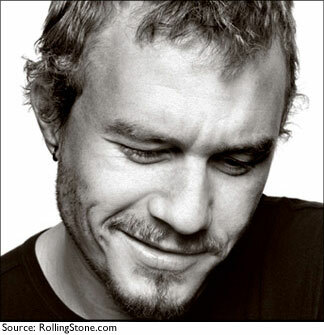 Ledger died from an accidental drug overdose in January 2008. Are you a Gilliam fan? Have you seen his TIDELAND? Talk about the imagination running riot! I love that film but I seem to be in the small minority. Anyway, I thought he was in fine form as Director. Oh Yeah, I'm really pumped about the review harry Knowles gave Parnassus! I didn't read it all becasue I want as many surprises as possible. Big Gilliam and Python fan. I am really pleased to see that the aborted Don Quixote seems to be back on again. The holy Grail is one of my all time fave films. If I ever feel fed up, I sit down to watch some M.P. either the lumberjack song or the dead parrot sketch. Some of my happiest memories are watching Monty Python with my dad, mum would leave the room, a puzzled look on her face as me and dad were convulsed. I have no idea why it amuses me so much, it just tickles the right bones. I am going to hunt out Tideland tomorrow, it is not one I have seen, so thanks for that. Be warned though, Tideland is not the cheer-up type of movie.